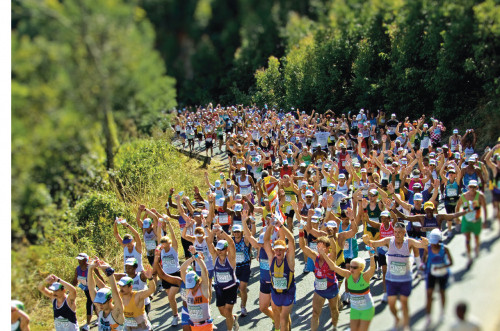 Nedbank, a major sponsor of the Comrades Marathon since 2002, will be bringing fun and flair to the 90th Comrades Marathon on Sunday, 31 May 2015. The prominent financial institution will host the official spectator spot along the route in a grand, enormously entertaining, eco-friendly Green Mile with an electrifying parade of colourful characters, carnival-style floats and more. Spectators can prepare for a Camperdown make-over as the iconic, awardwinning #NedbankGreenMile transforms the grey and dusty streets into a road running celebration on Comrades race day. 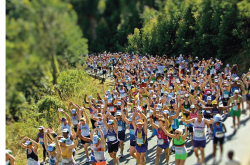 Aptly themed 'Comrades Carnival' in celebration of the 90th Comrades Marathon, the 2015 #NedbankGreenMile is the place to be at along the uprun's 87km route. Kids and the young at heart will delight in an action-packed Kids Fun Zone where entertainment includes face painting, balloon artists and jumping castles, plus much more. Runner's supporters will also be able to keep up with the race action from the large grandstand which will be home to a large screen TV airing live footage and race commentary throughout the day. A troupe of acrobats, jugglers, stilt walkers, giant puppets, Cancan and Salsa dancers will be parading through the mile-long spectator zone throughout the day, dazzling all in their wake, while local marimba, steel drum and marching bands set the carnival beat. There will also be DJs, flamboyant floats, a 'kissing' booth, shoot the hoop recycle bins and a secure kids zone with a jumping castle, face painting, arts and crafts and puppets; plus many more surprises. So ignite your imagination, dress the part and come be part of the Comrades Carnival at this year's #NedbankGreenMile, which will be open from 08h00 -14h30 on race day, with free entry. An easy access car park next to the N3 race route with parking directional signage will be provided.